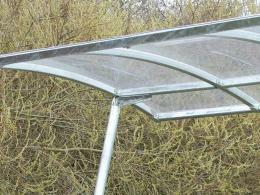 What is the purpose of the Harbledown Cycle Shelters? Elegant and contemporary, the Harbledown Cycle Shelter is made of sturdy galvanised mild steel with a 4mm clear PET (Polyethylene terephthalate) sheet roof to protect cyclists as they park and retrieve their cycles. Installing a simple method of bike storage, such as a bike rack, or bicycle stand, can accommodate cyclists and make securing their bikes easy. 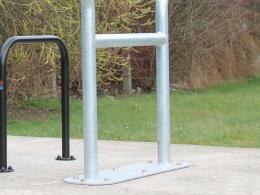 This stand-alone bicycle shelter is made by Autopa, and is a variant of the VELOPA Canterbury cycle shelter. The cycle stands shown are not included. 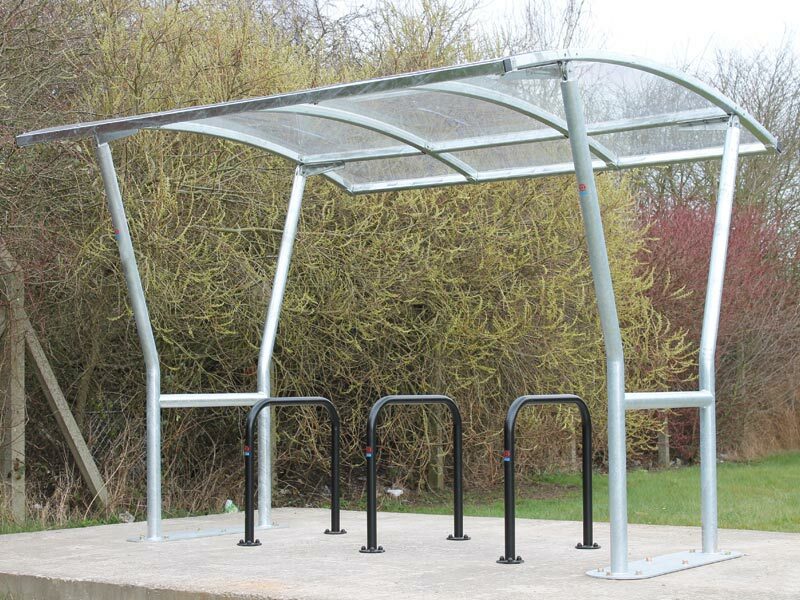 When installing the Harbledown Cycle Shelter, it is recommended that it be installed in a flat area, preferable on concrete where each leg can be bolted down with anchor bolts. Onsite assembly of your Harbledown Cycle Shelter will give you a place for several cycles for your patrons or employees. This product can be used wherever you need to store or house bicycles on a temporary basis. 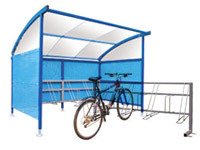 The Harbledown Cycle Shelter can be used at retail locations such as shops, restaurants, and entertainment venues. It is also a wonderful addition to schools, playgrounds, office buildings, colleges, parks, and any other place where cycles are used for transportation. Our standard 1-year parts and labour warranty applies to this product.